Latest information on UK events. Join the conversation on Twitter #BoM350 or #TnC350. 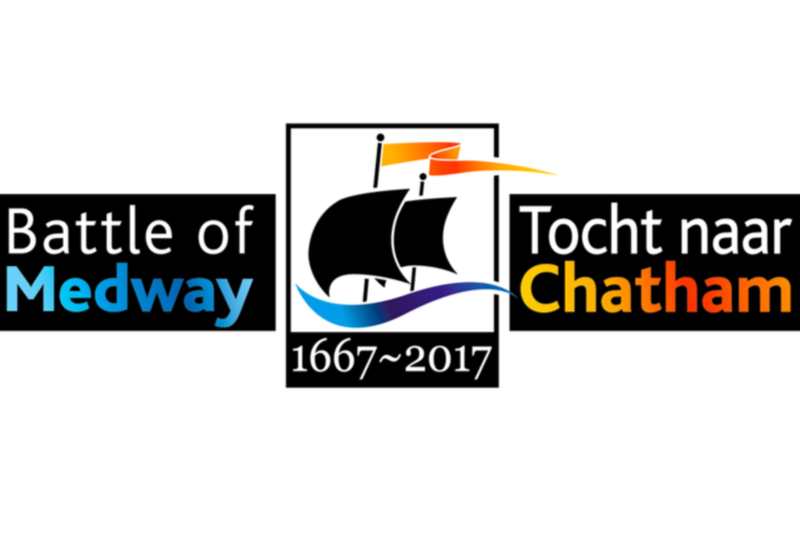 8/6: Two “de Ruyter Memorial” sailing events, sponsored by Scheepvaart Museum, will be organized from the Navy Harbor in Flushing to muster on the Medway, followed by a spectacular entrance in Chatham. The first fleet arriving June 8th, the second fleet June 14th. Details in "Sail-in...Again". Many (sailing)contests will be organized for both fleets 8-17th. After the spectacular sail-in a festive opening on the dockyards Museum area will start the Dutch Week. More information to follow on the website of The Historic Dockyard Chatham. 10/6: UK/NL Navy demo's & Dutch Marines Rowing Challenge, a team of former Dutch marines, will challenge the English Marines in a rowing event on the Medway. The finish line will be a floating chain, sponsored by Van Oord, an international dredging and marine contractor. 11/6: This Sunday an historical service will be held in Rochester Cathedral. The service will also include the inauguration of the first mayor of the new city Medway. Music by the Marine Band of the Royal Netherlands Navy. Dickens Festival in Rochester 9-11th. 10-17/6: On the grounds of the Dockyard Museum and around the basins 1, 2 and 3 a Dutch Week will be held. Info: Medway Council. 17/6: Medway in Flames, re-enactment & fireworks as Grand finale of the Dutch Week over at Upnor Castle. The following musical ensemble is open for booking: Scheepsfolk. For details follow their individual link. More activities listed in documents below.